We can arrive at "Ogikubo Station" at 2 stations 8 minutes from Shinjuku Station (Central Line Rapid). 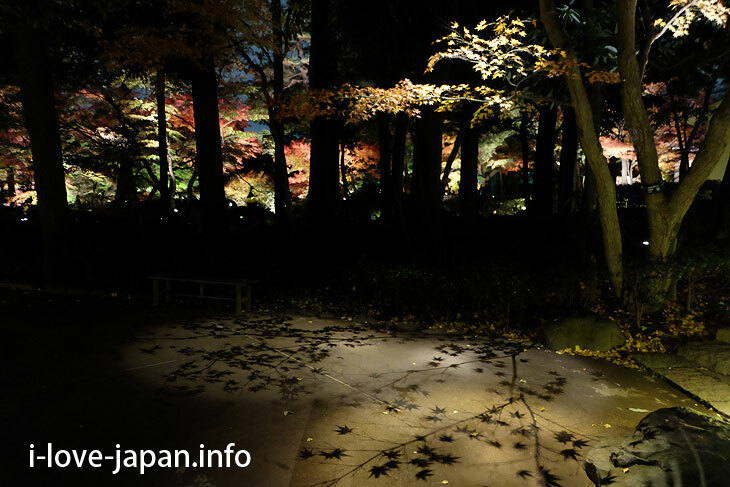 It takes about 8 minutes on foot from there (Mr.Google says, there is "10 minutes" on the official website) , you will reach "Otaguro Park"
At Otaguro Park, you can see the beautiful autumn leaves. As you go through the gate, ginkgo trees will welcome you. I'm sure you will be excited. 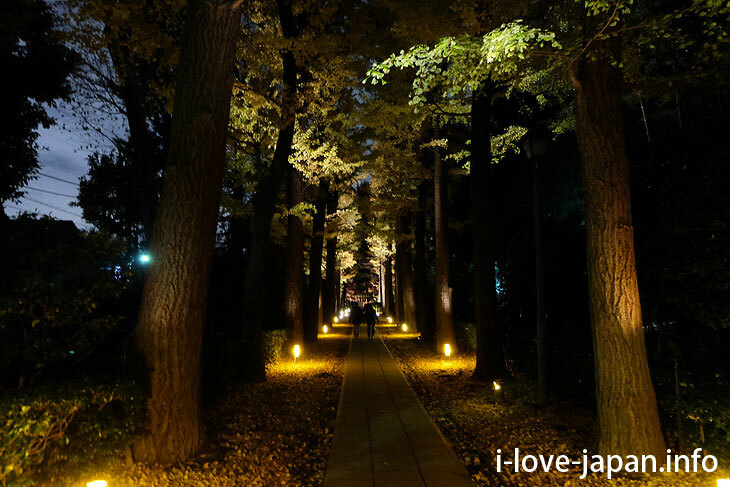 Because light is good, the autumn leaves reflected on the ground are beautiful. The autumn leaves are reflected in the pond surrounded by rough rocks. It is a stepping stone that is black. 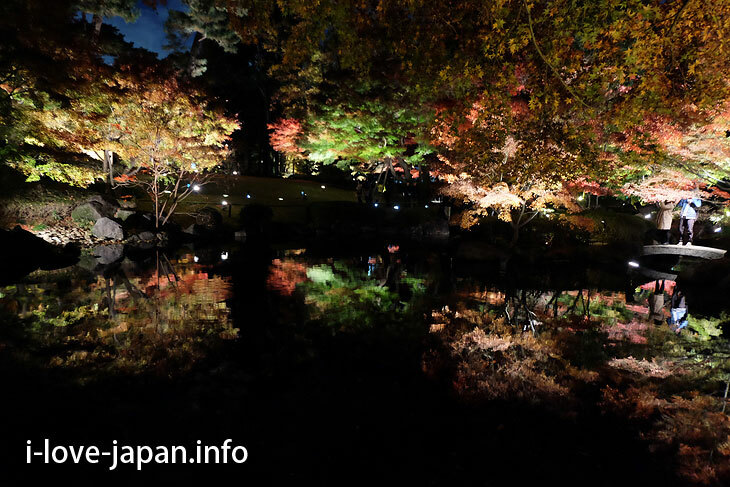 You can enjoy various "inverted autumn leaves". Please find your favorite place. 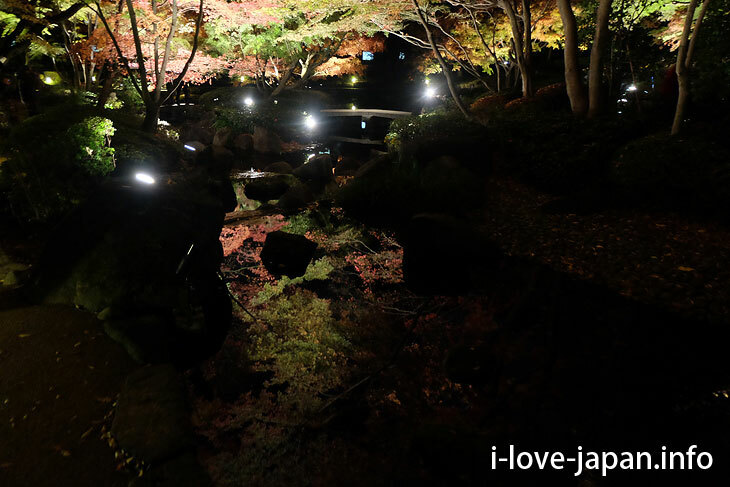 Otaguro Park opened the garden in 1981, when Suginami-ku maintained the Japanese garden on the site of the music critic Mr. Motoo Otaguro. 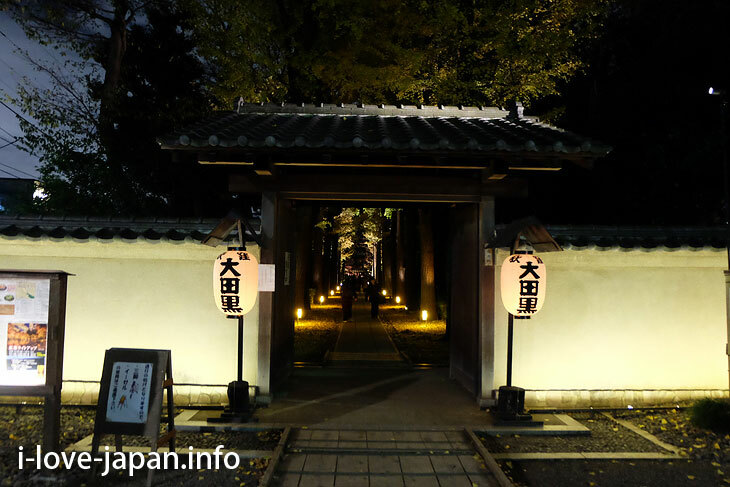 In the premises, not only the Japanese garden but also the Western-style building, which was Mr. Otaguro's workplace, is opened as a memorial hall.